Long coat with belt with English collar and pockets. Lining can be warmed if necessary. You can wear it at a temperature from -10° to +10°. 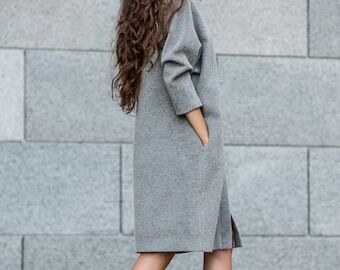 The model is wearing Oversized(36-40) coat. Height of the model is 170cm.